Who doesn't love stacking rings! A perfect pairing with my gemstone stacking rings are these super thin sterling silver bands with teeny personalized messages stamped on them. I can stamp any message, they make perfect gifts or as a special memento for yourself. 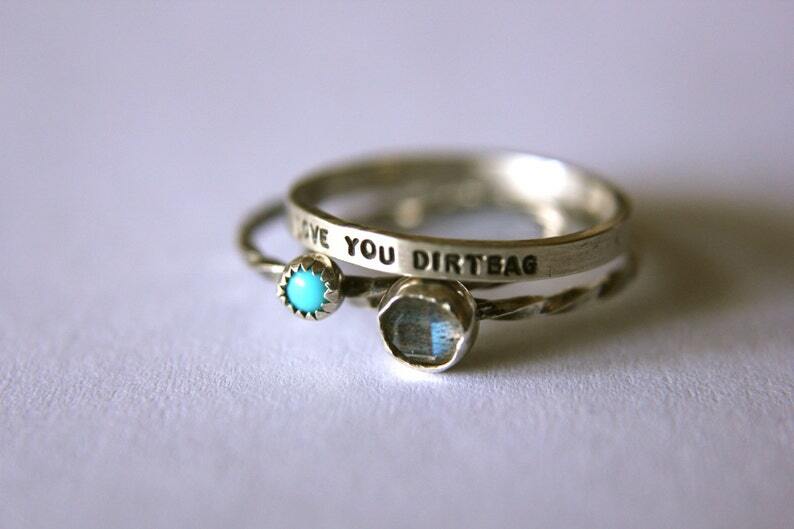 This listing is for two gemstone stacking rings with one personalized message ring.